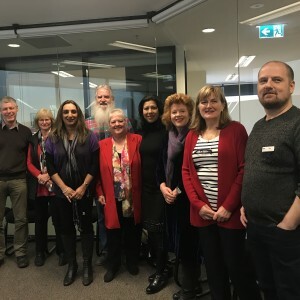 EACH and Doncare are partnering to expand counselling services in the Manningham community, with EACH joining the breadth of services on offer at the Doncare Centre in Doncaster. EACH’s Gambler’s Help Therapeutic Counselling and Alcohol & Drug Counselling will now be offered to compliment the suite of clinical services including Information Crisis Support, Family Services, Counselling for women and children recovering from Family Violence, Case Management, Domestic Violence Advocacy & Support and Social Support for Seniors. Individuals and families will have access to high-quality FREE service by experienced and qualified therapists assisting people in the Manningham area to make the first step in addressing highly stigmatised issues of addiction be it AOD or Gambling. There are seven gaming venues in the municipality and on average $153,746 was lost to pokies each day in Manningham in 2016. “Alarmingly, over 53% of 15-17 year olds consumed alcohol in the last 30 days and over 13% used marijuana” – Municipal Public Health and Wellbeing Research Paper. Gambling and Alcohol and drug dependency are often symptoms of or triggers to mental health issues. The adverse effects can be associated with road trauma, employment, assault and family violence. 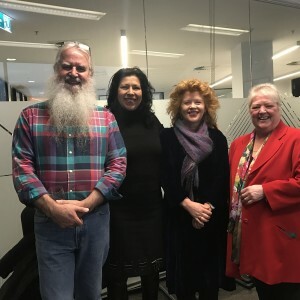 Bernie Durkin, General Manager of EACH Regional Counselling and Doncare CEO, Doreen Stoves share a mutual understanding of the causal factors of disadvantage and the societal change and action required to support people experiencing economic and social disadvantage in our community. EACH and Doncare initiated the collaboration in response to community needs with a focus on providing an avenue for people to access integrated services in one location. This stems from the mutual understanding that social issues rarely have single causes of outcomes, but rather are complex, and requiring attention on many fronts to engineer change for the individual. The issues that clients are struggling with are often complex: family separation, loss of employment, domestic violence, mortgage stress, medical assistance, bereavement, social isolation, parents struggling to find work, immigration, single parents on reduced income from Centrelink due to cuts in parenting payments. Increased rent and utility costs continue to drive the demand for help which has outstripped increases in government support for struggling families. Doncare has been a leader in the broader Manningham area for families and individuals in crisis for several decades and has established a reputation for connecting people in the community. EACH is proud to be working with Doncare in the community. Learn more about Doncare here. You can view information about our Gambler’s Help service here and information on our AOD services here.